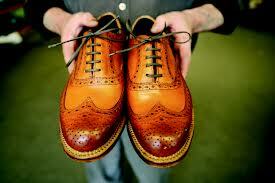 Grenson Shoes was started by William Green and was taught how to make boots and shoes by his mother in Rushden. 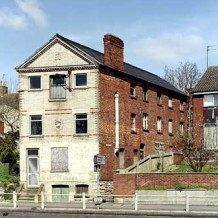 It was a cottage-based business which continued until 1866 when William stopped producing shoes and boots in his house and instead became a “factor”. This essentially meant he went out to get the orders, find the materials and employ craftsmen to fulfill the orders. This arrangement was formalized as William set up his first company, known as William Green & Son. The company attracted some of the finest shoe craftsmen in the business and William organised for the first factory to be opened in 1874. The “Greens Yard” factory was the first factory in the world to use the Goodyear welt construction method for manufacturing gentlemen’s shoes. 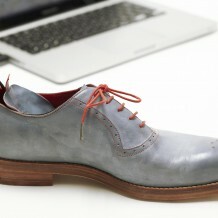 “Green & Son” soon became Grenson, a powerful brand which still dominates the shoe industry today. 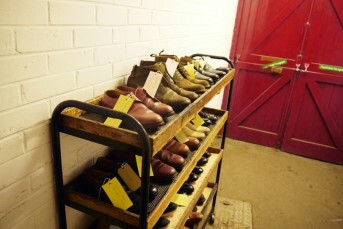 Twenty years on, Grenson moved to a larger premise on Queen Street to accommodate for the surge in demand which they experienced throughout the nineteenth century. 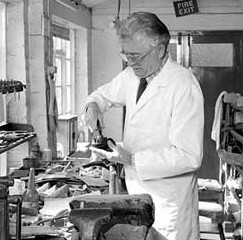 The business was badly affected by the inter-war years and depression but, like so many similar businesses was called into action during the Second World War to make shoes and boots for British soldiers and by the end of the 1940’s was producing more shoes than ever before and employing over 400 people. 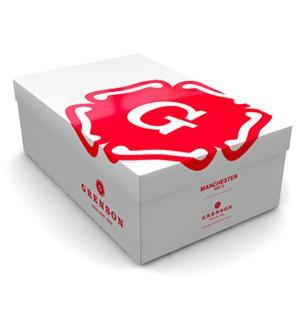 Today Grenson has three dedicated retail outlets in London, with a further outlet in Copenhagen, and are available through specialist fashion and design outlets throughout the world from Bergdorf Goodman and Saks in the US, to Harrods and Harvey Nichols in London, to Isetan and Beams in Tokyo to name just a few.